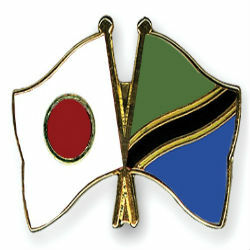 As Tanzania’s economy shows steady growth patterns and an increasingly conducive business environment, Japanese Nitori Holdings Company Limited commits to a 100 million USD investment in agricultural production and manufacturing in Tanzania. This large scale investment in one of Tanzania’s most promising sectors will result in thousands of jobs created and a boost for the country’s revenue from exports. Nitori Senior Managing Director Shoshin Komiya said “Our dream is to invest in cotton production and set up a fully-fledged textile industry in Tanzania. We will highly appreciate it if the government would support us achieve that dream…We dream about seeing Africa, especially Tanzania, becoming our manufacturing base”. Nitori is an established furniture retailer in Japan with more than 200 stores and plans to invest 100 million USD for the cultivation of cotton and cattle hide in Tanzania for its cotton and leather products.